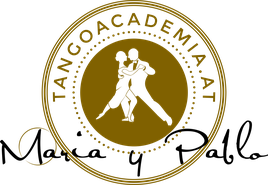 Our tango vacations are a unique experience, because you have the opportunity to study Argentine tango intensively in special places, where you can relax, take a break from daily life and at the same time recharge your batteries. This combination of factors gives rise to a special learning experience, thanks to which the newly acquired knowledge is more easily consolidated. For these reasons we have chosen two unique places: Soverato, the "pearl of the Ionian Sea", and Nikolsdorf next to Lienz, the "pearl of the Dolomites." The lessons include Tango, Tango Vals and Milonga at an intermediate/advanced level. In the workshops we build on previous knowledge and make sure to give precise explanations of movements as well as tips and tricks regarding improvisation and musicality. We also set exercises with and without a partner. Languages spoken: English, Spanish, German and Italian.